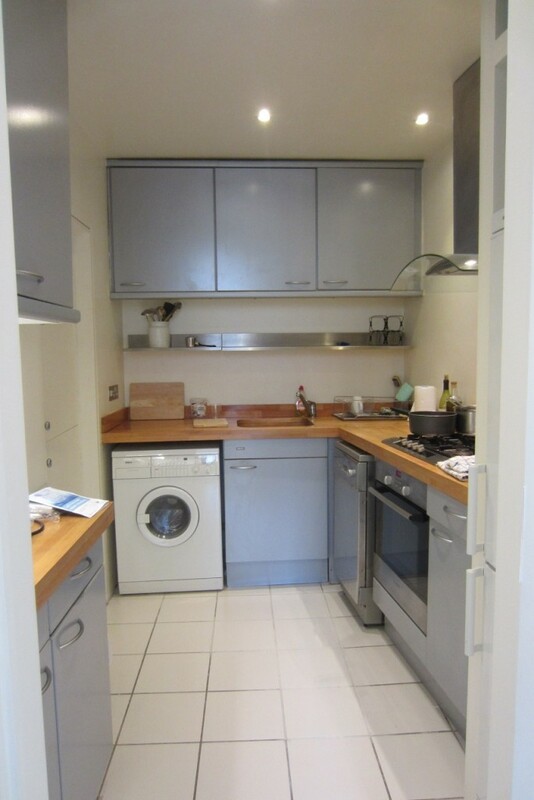 Gorgeous, light-filled flat available for rent in centre of Notting Hill Gate. 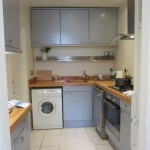 The flat would be suitable for professionals; a couple or an individual. 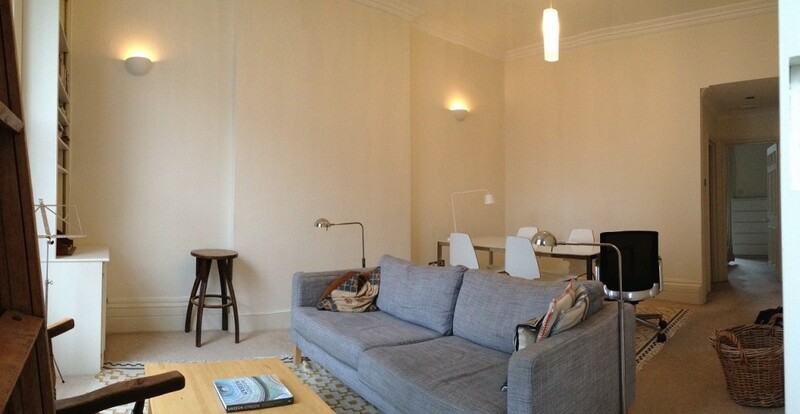 A double bedroom with glazed french-door out onto a secluded south facing terrace. 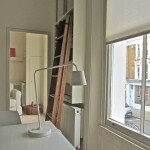 The room has a built-in wardrobe and free-standing chest of drawers. 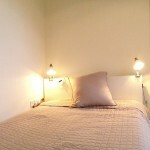 The bathroom has been recently refurbished, well laid out with a generous sink, bath and shower. A well-equipped modern kitchen opens onto both the living room and a second reception room which can be used as a study or occasional spare bedroom. 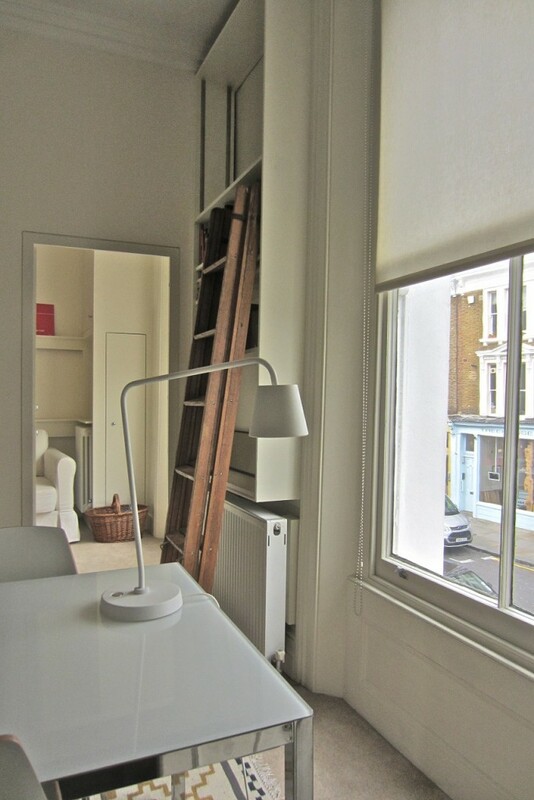 The flat has the benefit of a second reception room, with tall sash window, which could be used as a study or as a spare bedroom. 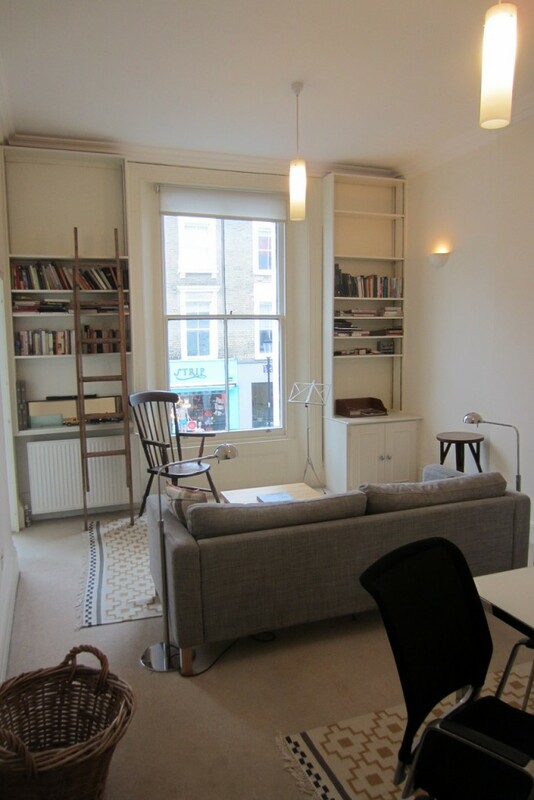 The flat has a wonderful and generous light-filled living room with exceptionally high ceilings and a fantastic view of pretty mews opposite. 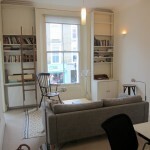 Furnished with an elegant white-glass dining table, a large 3-seater sofa, bookshelves. 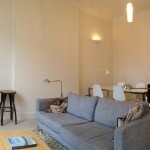 The flat is situated close to popular restaurants and cafes, such as The Ledbury, Nama. It has a local corner shop open 8-8 opposite and a laundry. 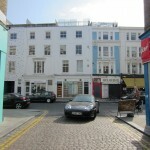 Less than 5mins walk to both Portobello Road and Westbourne Grove. 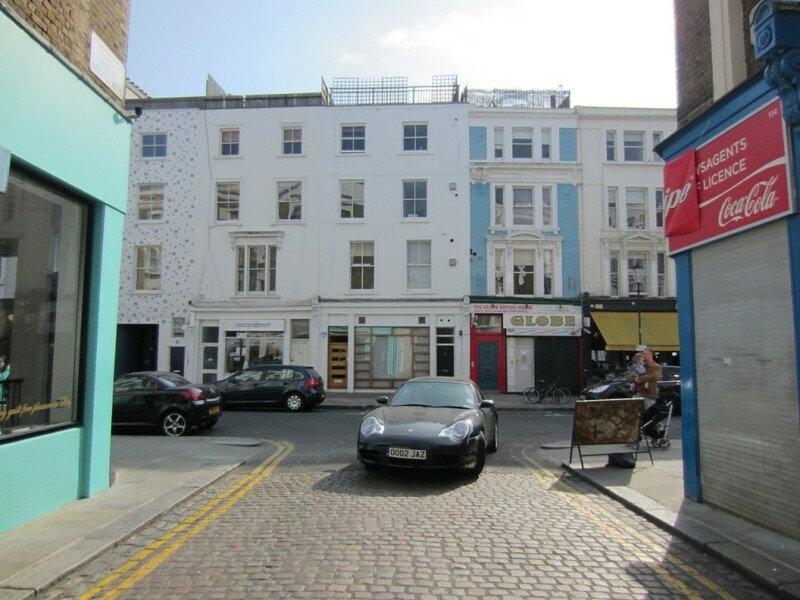 Less than 10 minutes walk to either Notting hill Gate station (Central, Circle & District lines) or Westbourne Park station (Hammersmith & City line) and close to bus routes: numbers 7, 18, 23 & 27.